Give New Life To Your Mascot! Lighter, Faster, Stronger, and Last Longer! 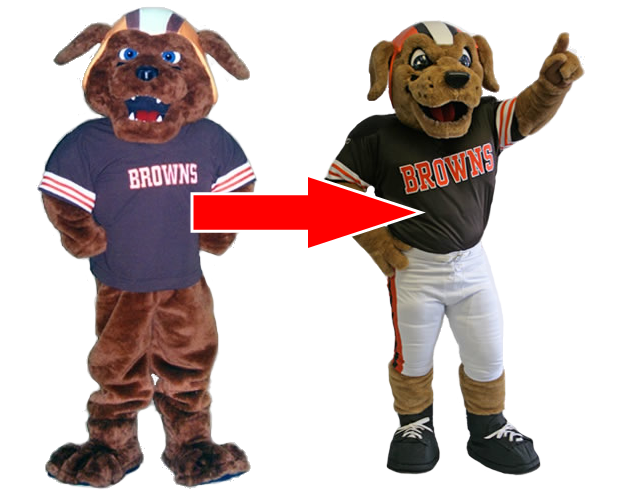 Give Your Mascot a Face-lift! Is it time to Refresh and Revitalize Your Mascot Uniform? Do you currently have a mascot that is well liked by the fans, but not by the performer? If your performer is suffering from limitations imposed by the uniform, this could be a huge problem. For example, if they are telling you the mascot uniform head heavy, this be a real issue. When the costume head is too heavy, it offers little support to the performer, which probably causing them to stay in the “safe zone” of their performance. It could mean the difference between being mediocre and offering raving performances! UPGRADE YOUR MASCOT COSTUME TODAY! Clone your current costume or design a brand new look for your much beloved character. Small changes to the appearance of your mascot uniform will refresh and revitalize the character, making it more user friendly for the performer. You want it Light, Long lasting, Breathable and Mobile. We can reproduce the look of your current mascot uniform, or we can make a few small changes to bring your character to life. Hand painted acrylic eyes appear more lively than painted bug screen. A bad idea is to use fiberglass or plastic heads. It may cut costs, but they are heavy, have no ventilation and will certainly break over time. Let us make you a new head made out of the best materials in the industry to keep your character light, long lasting, breathable, and mobile. 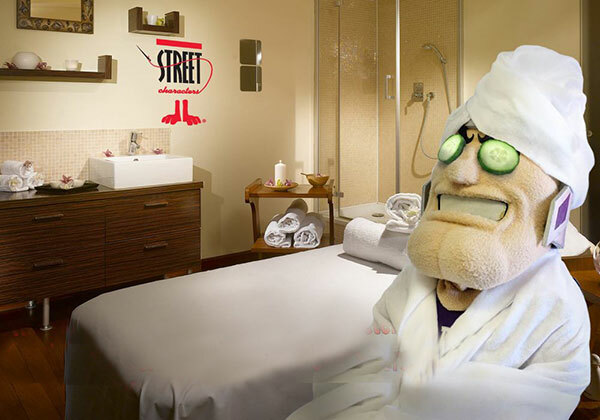 When Your Costume Needs To Have A “Me” Day, Send It To Our All Inclusive Mascot Spa Treatment Center! Click HERE To Download our Costume Care Booklet! Do you have a mascot uniform that is held together with band aids or super glue? Is it missing a tail or a hoof? Send your mascot to our Street Characters Hospital. We will assess its condition and provide a free estimate on any work required. Our own Street Character mascots are easy to maintain and clean. All mascots produced in our factory come with a care and cleaning guide. Not only do we clean and repair our own mascot uniforms, we will professionally clean and repair any mascot that needs a little care and attention. When it comes down to it, you don’t want your fans to remember a scruffy, stinky mascot, that looks like it was made in somebody’s basement. You want the fans to remember your character as a lovable, energetic, and fun character created just for them. When your custom mascot costume needs a day spa, we’ll take care of the cleaning and the fixing and make sure you smell and shine like a million bucks!